If you are looking to join a market research site that will pay you in cash or rewards for simply filling out a survey, you really should start with one of the best. 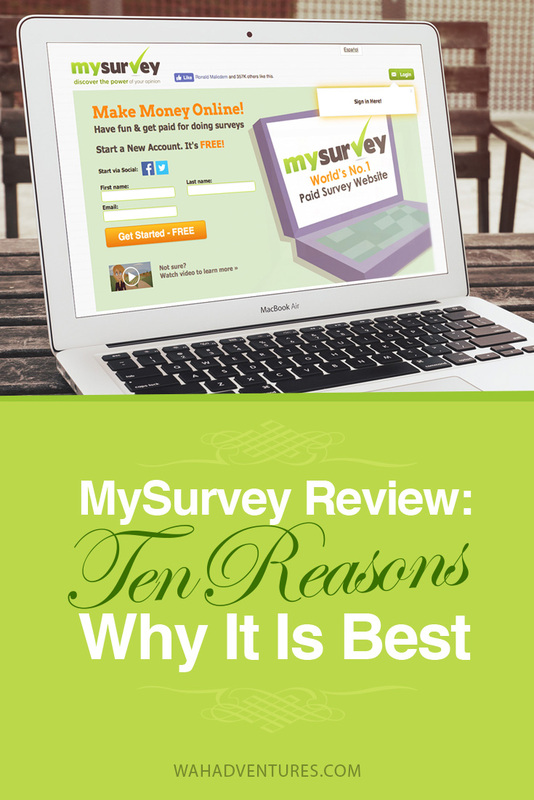 MySurvey is a top-ranked survey site that offers real rewards for opinions. But is MySurvey right for you? Important Update 3/2019: MySurvey and Global Test Market are Now LifePoints! As of February 2019, the popular MySurvey and Global Test Market survey panels, both owned and operated by market research company Lightspeed, have joined forces to become LifePoints. LifePoints is another survey panel that has a significantly more modern look and feel over its predecessors. However, it operates mostly the same. You’ll join, answer surveys, and get rewarded for your time. We wanted to share this update with you because, although MySurvey and Global Test Market are both still available online, we believe that they’ll eventually be phased out completely in favor of the new LifePoints panel. It’s a good idea, then, to head over to LifePoints get started over there. You can still read all about MySurvey in our review below, which can still come in handy because some of its features will carry over into LifePoints. But we’re also going to point out some key features and differences between LifePoints and MySurvey, so you’ll know what to expect when you join. If you’re already signed up for MySurvey, you’re in luck: Your account information should allow you to sign into LifePoints too. Just use your username/email and password that you use on MySurvey to log into LifePoints without needing to create a new account. Some users have reported this not working correctly, so if that happens to you, you can contact LifePoints using the information noted on its website. Once you are able to log in, you should see your points from MySurvey carried over into your LifePoints account! Again, if there’s any issue, be sure to reach out to LifePoints directly. If you were considering joining MySurvey before but never got around to signing up, you can start fresh with LifePoints. Head to the registration page and enter the information into the form. You’ll be signed up once you confirm your email address and should be able to start participating in surveys. How are MySurvey and LifePoints the Same? The transition into LifePoints actually started back in 2017, but the companies have chosen to roll out the changeover in different countries on a different timeline, so those in the United States are just starting to see the changes take effect now. You’ll notice – at least for now – that MySurvey and LifePoints aren’t that much different. If you’ve used MySurvey in the past, you won’t notice significant changes to the way you take surveys and earn rewards. You’ll still be able to take surveys that earn you points toward your favorite gift cards, like Amazon, Starbucks, and iTunes, plus eligibility to earn PayPal cash. Like MySurvey, LifePoints is also open to panelists in several countries. How are MySurvey and LifePoints Different? MySurvey and LifePoints do differ in a couple of ways, though. Possibly the most notable difference is the websites themselves. While MySurvey is highly outdated and a little clunky around the edges, LifePoints has a completely modern look that’s very easy to navigate and is much more user-friendly. But we know that the look of a website isn’t the most important thing to most people; the way it operates is! One benefit of LifePoints over MySurvey is that, if you get disqualified from a survey on LifePoints, you can still earn a few points for trying to qualify. Survey panels often disqualify panelists who aren’t a great fit for that survey because their demographics don’t quite match what the company was looking for. Most panels don’t pay you for your time to qualify, though, which can take several minutes sometimes. LifePoints is ahead of many other survey panels in this area, offering up to 3 points for disqualification, for a maximum of 10 disqualification points each day. It’s not much, but it’s better than getting nothing for spending 10 minutes on a survey just to get disqualified. Another notable difference is that new members of LifePoints can get 10 points credited to their accounts just for signing up. Unfortunately, those migrating from MySurvey won’t be eligible for this bonus (but you could always contact LifePoints to see if you can get rewarded for switching over – you never know!). Finally, LifePoints differs a bit from MySurvey in that it offers other ways to earn points rather than just surveys. The panel sometimes participates in product testing opportunities where products will get shipped to panelists’ homes, as well as focus groups, mobile surveys, and video surveys. LifePoints also has “diaries”, where you can get paid to record activities or behaviors for market research purposes. How can you get rewarded for your time spent on LifePoints? You’ll collect LifePoints for surveys, focus groups, polls, and any other activities you complete with the company. Your LifePoints won’t expire until three years after you’ve collected them, or 12 months if there’s been no activity on your account, so make sure you stay active. Most surveys only take about 15 minutes to complete, and you’ll be rewarded according to how long and complex the survey was. Focus groups, product testing opportunities, and diaries will typically pay more than regular surveys. You can redeem your points when you have reached the minimum for the specific prize you want. LifePoints, like all survey panels, has some negative reviews. Most of the negative comments about LifePoints have to do with it being slow to earn points, which is one of the drawbacks of it being a newer survey panel. Remember that this panel is still very new, so it’s going to have some hiccups for a while as it completes its transition from MySurvey to LifePoints and merges GlobalTestMarket in too. Some panelists do think that MySurvey was better, but we also know that change can be tough sometimes. MySurvey was an incredibly popular panel for several years before this transition, so avid MySurvey users might find the learning curve challenging for them. We suggest trying it out for yourself and seeing how you like it. You can visit LifePoints here to switch over or sign up. MySurvey – Scam or Legit? Whenever you consider signing up for an internet site, it is important to find out whether the site is safe or not. Some key indicators that this website has to prove it is legit is a large body of members and a long history. MySurvey is one of the oldest survey sites. The parent company that led to the eventual creation of MySurvey began in 1946, where it received information from its members via post! With the establishment of the website in 2001 and the eventual merge with Lightspeed Research, MySurvey is one of the most respected survey sites. MySurvey boasts millions of members. Unlike many other research panels, it accepts members from many different countries around the world and offers surveys in different languages. MySurvey claims to have awarded more than USD $32 million to their worldwide members in 2014. There are many people who have been with the company for 10 years or more and still take time to complete surveys. MySurvey is a legit site that really will pay cash or rewards in exchange for your time. Of course, like any survey site the earnings are not nearly enough to live on – anyone expecting to get rich by completing surveys is bound to be disappointed. However, with a healthy expectation of the rewards you can achieve, combined with the willingness and commitment to complete surveys, members really can benefit from being a part of this global company. Does my survey really work? Businesses need to know what their buyers are thinking. If a customer chooses another product over theirs, they need to know why. But how can they find out? In the past, this was mostly done with small “focus groups”, but they couldn’t really provide the large-scale information that companies really need. Businesses like MySurvey came to fill in the gap between businesses and the consumers. You want certain things out of the products you buy, and those companies need to know what you want so they can sell it to you. So, they pay a company like MySurvey to find out buyer preferences from a wide range of people, and use that information to make important decisions. Aside from companies wanting to sell products, there are other uses for large panels of survey takers – judging public opinion on certain issues in society, determining cultural values, and many other group opinions can be discovered by offering surveys to a diverse group of people. MySurvey then takes the money that the company pays them, and shares part of it with every member that takes part in giving their opinion on that product or service. That’s where you can earn money. The payment varies depending on the difficulty and length of the survey, and might seem small, but it adds up to gift cards and rewards – all for ticking some boxes while watching TV! To join MySurvey, simply click the link and follow the steps to register. After giving your details, you will be asked to fill in some “lifestyle surveys”, to learn more about you. Fill out your details honestly, so that you can be matched with the correct surveys – besides, incorrect information is a legitimate reason for MySurvey to cancel people’s accounts. Once you have your profile active and all your information up-to-date, make sure you regularly check both your email inbox and the MySurvey site for survey opportunities and make the most of whatever is offered to maximize your potential to earn points. Why do they want so much information? When signing up for MySurvey, you will be asked to provide many details that might seem personal. So why does MySurvey need all this information? So, what do they do with it? Your profile information helps put you into different demographics, which allows MySurvey to send you surveys that are relevant to you. For example, a company might ask MySurvey to find out what kind of bread most 25-year-old women are likely to buy. If you are a 40-year-old man, your opinion can’t be used in this instance, so you will be disqualified for the survey. Sometimes, even when a survey is sent to you, you will still be disqualified after providing a few answers. While sometimes frustrating, this is for the same reason – based on your answers, you do not fit the type of person the company is looking for in that instance. Keep trying – with so many surveys available, MySurvey is bound to have something that you can complete. They also award bonus sweepstakes entries even if you do not qualify. Feeling lucky? That being said, MySurvey is a safe site that is trusted by millions. With MySurvey, the data is usually aggregated – that means that it is put into the pool with hundreds of other people, and not traceable to you. So, for example, they might be able to see that an 18-year-old male in California prefers the blue packaging, but they have no way of knowing which 18-year-old male that might be, or any personal information about him. However, be sure to actually read all instructions, policies and terms and conditions so that you know what you are signing up for. MySurvey offers points for surveys completed and for successful referrals. Points have a value in either rewards or cash, depending on what you want and how many points you have to spend. Instead of having a set value of points to dollars, MySurvey varies the exact value of points based on different categories. There is an 1100 point ($10) minimum balance required to redeem your rewards. As you can see, the ratio of points to dollars’ changes depending on what you choose to redeem your points for. This helps members get the best value for their points, instead of cashing out quickly into PayPal as soon as the minimum is reached. It might not be quite as exciting as cash and prizes, but you are also rewarded by being part of the decision-making process for major brands, and may even have a chance to give feedback on products you personally use. MySurvey often shares the results from the surveys they conduct, and you might even see the results from a survey you took part in being displayed on the news or in other media. Completing surveys. Surveys could be on a wide range of topics, and can be on buyer preferences, opinions about marketing and packaging decisions, your lifestyle – almost anything. By completing these surveys, you are contributing towards making a real difference to the products you use every day. MySurvey does not outsource its surveys, so you can rest assured that they will be well designed and easy to follow. Product testing. Almost everyone who completes paid surveys welcomes the chance to test products. Why wouldn’t you? 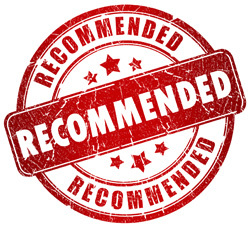 Selected members are sent free products to try, in exchange for honest opinions about the product. You might find yourself testing products that aren’t even available in stores yet. Referrals. Members are able to refer family and friends by their email address, and then receive points for each successful sign-up. Sweepstakes. Every month, some members are randomly selected to win 10,000-point sweepstakes for being active members. That means keeping your information current and completing surveys. You earn sweepstakes entries by completing surveys, updating your lifestyle surveys, and even when you are disqualified from a survey. There are mixed reviews about all survey sites. There are some people who claim to have had negative experiences with MySurvey. The most common complaints are from people who feel that they do not have enough surveys, from people whose accounts are closed down, and from people who like to call it a “scam”. For a positive experience, the best thing you can do is read the FAQ section. Most sites will be very open about the earning potential of the surveys, and there are many people who have not read or understood the rules and are therefore disappointed when they receive a negative consequence. For example, points do expire after a year – so, while it would be very frustrating to lose hard-earned points, MySurvey very clearly states the expiry time. MySurvey is not a scam, but being realistic about how much you will earn and sticking to the rules will help you get the best out of the site. There are many people who have been with the company for a decade, and still cash out on gift cards or similar several times a year. The first, and possibly most important, is to complete every survey that you are given. Even if you are disqualified, accept the Sweepstakes entries and try again with the next one. Follow the email links, but also log in to the site as often as possible to see what is available. Another important factor is your profile information and lifestyle surveys. Be completely honest when completing them, as incorrect information is cause for your account to be shut down if you are found out. It also lessens the chance of being disqualified, as you are most likely to be sent surveys that relate to you. Keeping your profile up-to-date and accurate is the best way to keep the surveys coming. If you are looking for a way to earn money online, then MySurvey is a top-rated site with a long history of market research that can help you earn some cash and rewards. It is trustworthy, easy to use, and has many more survey opportunities than most other similar sites. If you are looking for even more surveys than MySurvey has to offer, consider signing up to multiple sites to get the most available surveys possible. However, MySurvey is a great place to begin, and with some dedication, you are practically guaranteed rewards. Sign up for MySurvey today and start earning money from your own home. Is Big Spot Survey from TV a Scam?